Portfolio Categories: 2017 and S.
Elmer Scheid was born on October 4, 1921 in New Ulm, MN. At the young age of 8 years old, he learned to play the concertina from his father and performed his first professional dance event with the John Fritsche Band at the age of 14. 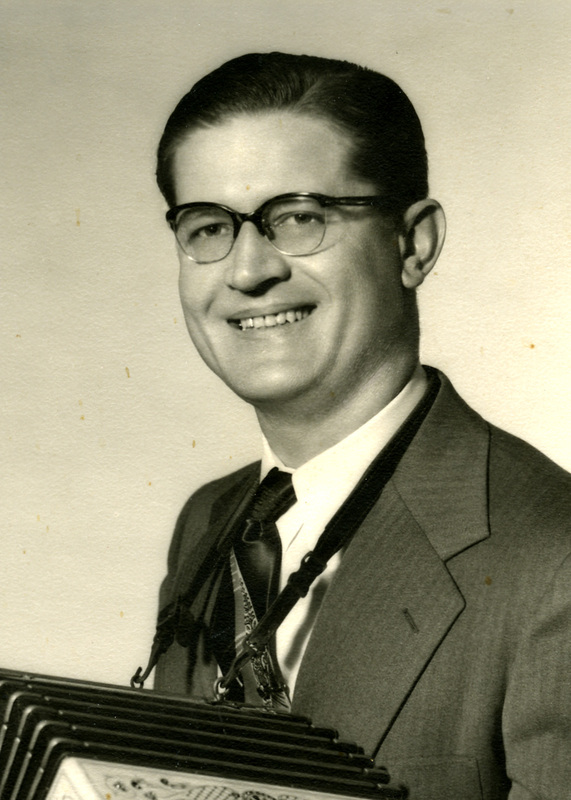 Elmer later played with the Six Fat Dutchmen and the Babe Wagner Band, which he managed from 1949 to 1951. He then created his own band, Elmer Scheid and his Hoolerie Band, and is considered one of the pioneers of the “hoolerie” sound where a concertina and clarinet play together in higher registers reminiscent of the ländlers of Bavaria and Austria. Many German-style bandleaders, including Johnny Gag and Jerry Schuft, emulated that sound. The Hoolerie Band won the popularity contest at the Marigold Ballroom in Minneapolis in 1958 and was the only Minnesota band invited to perform at Milwaukee’s National Polka Fest in 1968. 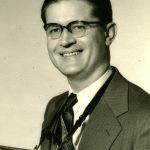 During their 50-year career, Elmer and his band produced 15 albums on national record labels that included Epic, Decca, Polka City, Pleasant Peasant, Czech Records, Oxboro, and Soma. His last recording was released in 1986. In 1995, Elmer was inducted into the Minnesota Music Hall of Fame. He passed away at the age of 90 in 2012. For his many accomplishments in the polka industry, Elmer Scheid has been deemed deserving by the electorate of the International Polka Association for induction into the Polka Music Hall of Fame.